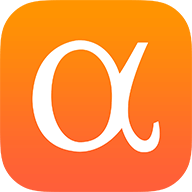 Alliqua BioMedical (NASDAQ:ALQA) declares $1.05/share special dividend. Payable no later than June 21, 2019; for shareholders of record April 22. The payment of the Special Dividend is subject to the consummation of Alliqua’s previously announced merger transaction with Adynxx. See ALQA Dividend Scorecard, Yield Chart, & Dividend Growth.